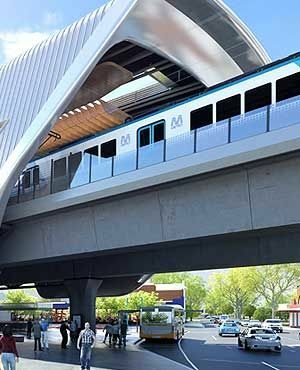 In Melbourne, capital of the Australian state of Victoria in the southwest corner of the continent, a new Sky Rail is currently being built to provide significant relief for the traffic situation in the city. The route runs above an existing public transit line at street level. At the many intersections with the road network, long-lasting traffic jams regularly occur, especially at peak times. Once the Sky Rail goes into operation, the old route will be demolished and the resulting free space will be handed over to a sensible new public use. 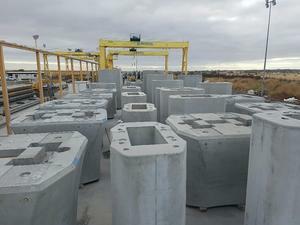 As is the case with other similarly demanding projects, the upcrete pump technology from RATEC was used in the production of the precast columns. Installation of the first from a total of 350 supporting columns started at the beginning of 2017, framework construction of the route is expected to be completed at the end of 2018. 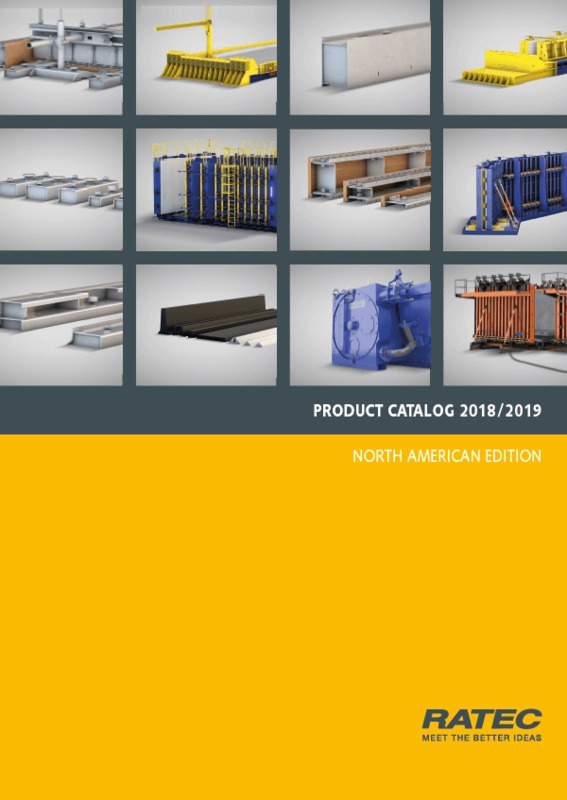 For the technically demanding construction of the support elements which vary in height, the customer uses formwork that can be adjusted to height differences by means of a movable base. 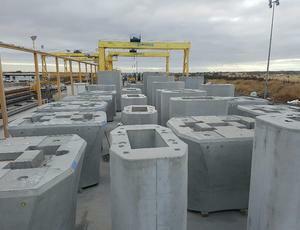 As a result, filling with concrete through the sideplate was ruled out. This is on top of complex recesses on the upper side of the elements which mean that a filling from above is also not possible. The objective was to solve this unusual set of challenges. 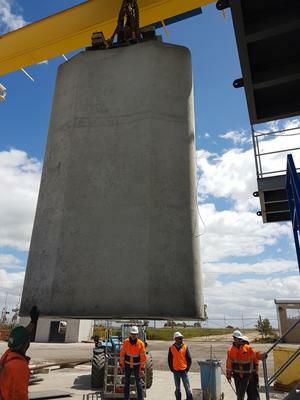 RATEC had already at an earlier point in time carried out a series of tests for concreting through the ground formwork, further developing its concrete filling connection in the process. A tried and tested solution was thus available. 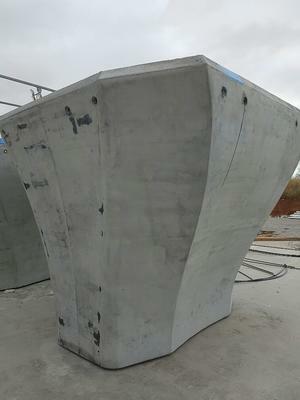 In order to achieve various element heights, the distances between the concrete filling connection and the raised ground formwork are bridged with fitted PVC tubes. 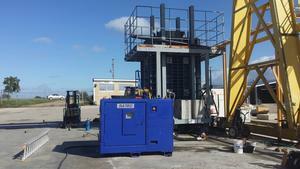 The flow of concrete is facilitated with the help of a RATEC UPP100 concrete pump which ensures an even filling and an optimal distribution of the concrete in the formwork. The quality of the results is so impressive that the customer is also considering the use of upcrete technology for the subsequent execution of the horizontal elements. Due to the diverse range of recesses on the top of the support elements, it was not possible to fill the formwork with concrete from above.